Welcome To The House Of The She Pine Tree! 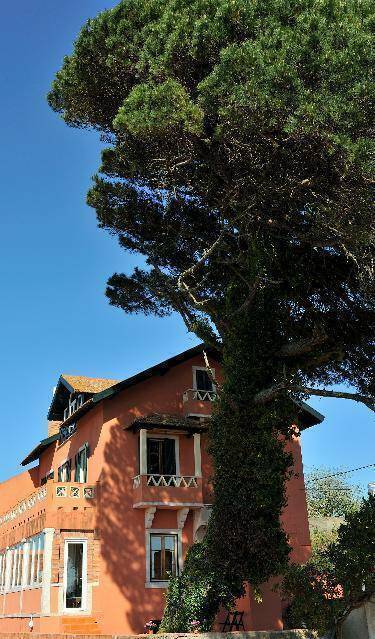 The House of the She Pine Tree was built at the end of the XIX Century for a local farmer´s family, and expanded in the 30´s, when it was redesigned to its “Sintra Chalet” looks. It sits on the highground edge of the time forgotten villages of Sabugo and Vale de Lobo, in the county of the historic town of sintra (a Unesco World Heritage Site). 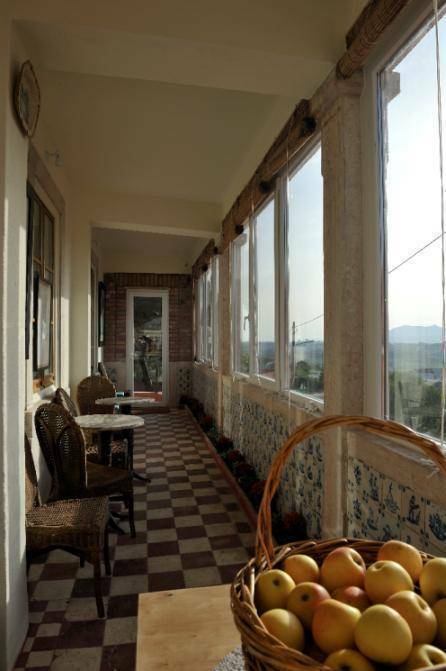 The village rolls down the last west facing slope where the hills of Carregueira and Olela merge, with breathtaking views of the mountain of Sintra and its valley, with fabulous unlimited 270º degrees sunsets panoramas! The sea from Guincho to Ericeira lies just behind the horizon. 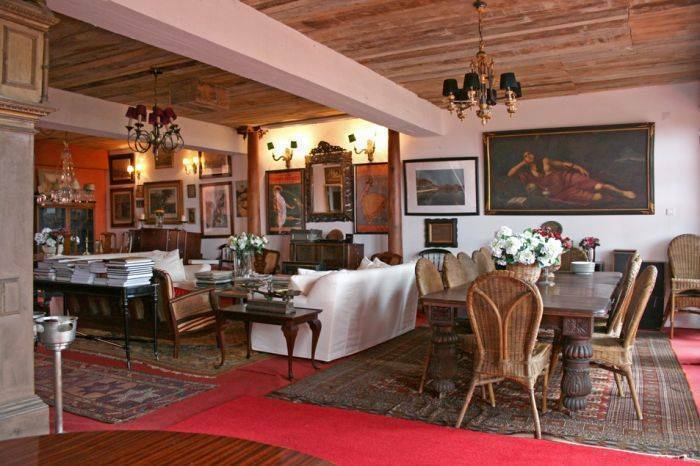 The house was bought in the early sixties by the journalist, war reporter, radio and tv producer and speaker, painter, artist, award-wining novelist, theater and children´s stories writer, publicist, poet, antiquarian, art collector Olavo d´Eça Leal (Vd. Bio). 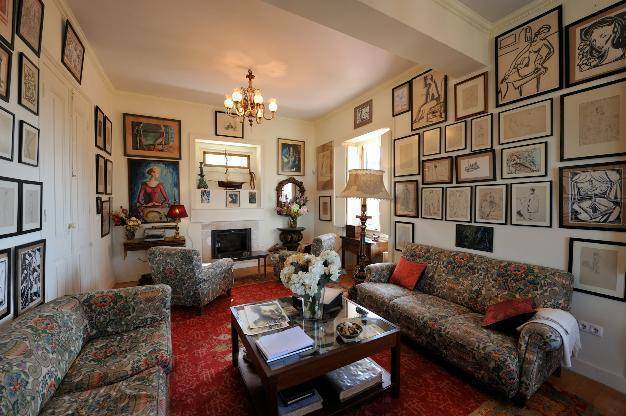 The house will be the property of a foundation and hosts the temporary and permanent contributions of drawings, paintings, furnishings and personal objects of Olavo, constituting a Museum House. In order to sustain its maintenance and support the conservation of the house and its collection, the house is operating as an inn/bed & breakfast, a non-profit charity. 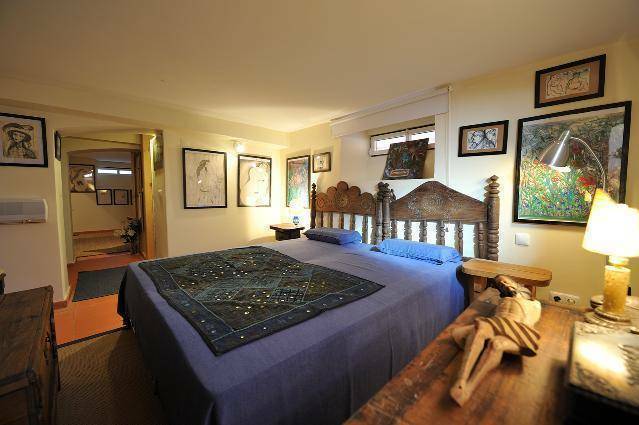 The rooms are decorated with the art collection, furnishings, and personal objects of Olavo, on loan or donated by his widow, Emilia, and his son, Tomaz. The collection is constituted mainly by drawings from 1926 to 1976, the year he passed away in Oxford, covering 50 years of his work. 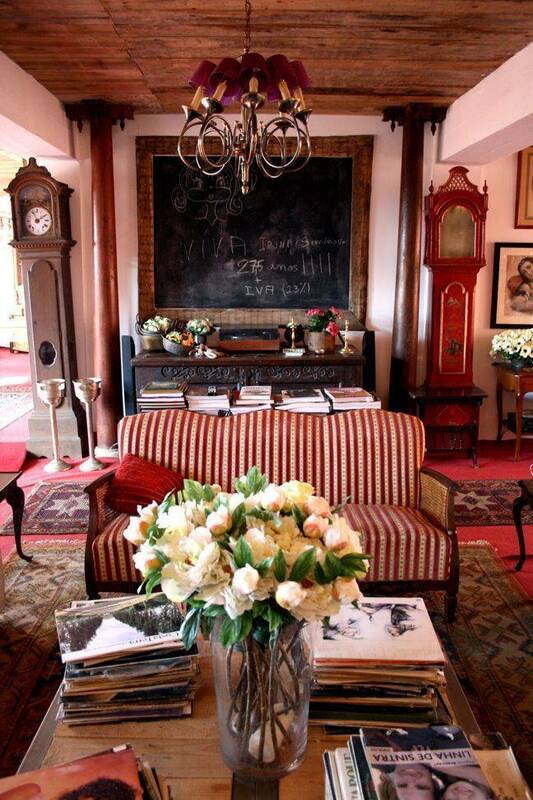 Just ask your hosts for hints and tips about great days in Sintra, Colares, Cascais, Mafra, Lisbon, Óbidos, Peniche, Ericeira, Arrábida, troia.... Home made lunch and dinner available daily. Ask the houseeper to prepare you a picnic for your day out. Historical site : 8 km. Close to railway, Close to A-road / Motorway, Sandy beach nearby. Mountain Biking / Cycling, Water sports, Golf, Tennis, Equitation, Fishing, Sea / ocean, Horse riding, Windsurfing, Mountain climbing, Beach with lifeguard, Vineyard, Sailing, Jet ski. Payment is cash or credit card. Full refund if cancelled up to 48 hours prior to arrival. the station! If you let us know in advance it’s even better! know and we will pick you up from there!